Terraforce > Images tagged "clarens-january-2015"
0 Responses to Images tagged "clarens-january-2015"
Can you provide me a Quotation for per 1000 of L11 type terraforce and do you deliver and what is minimum load Qty to qaulify for delivery. My Resort is in the district of Bothaville. From Orkney we 30Km out on Leeudoringstad road. I am considering to do it on own but would like to get a rough installation cost. Resort is on River front with a steap drop to river front. I have forwarded to your request to Mr Rust, who will be in contact with you soonest. Can you forward me some design details for retaining structures ie. from 1.0m-8.0m.Embankments vary from cut to fill, with soil conditions being clay during wet weather. So sorry I am only getting back to you now, I have been on vacation and had no access to internet. I will forward your request to Mr Rust and he will revert to you soonest. I just found your products and I am very interested on represent you here in Brazil as a partner. I am aware of this kind of prduct and construction and I have an small business for concrete decorative curbing and concrete paver installation. I should say that for me it will be an honor to be your representative here in Brazil, we have many applications for your products here. I am located at Campinas Region at Sao Paulo state, and this is the richest region of Brazil and we have a lot of business to do here. I have only seen your comment now, there was a serious error in the notification delivery of this site, so I have not seen many of the comments at all for a long time. Please let me know if you are still interested in representing Terraforce in Brazil. Hi being involved in landscaping & terracing projects in Mauritius,look forward to represent your products here. Thanking you for a quick reply. I will forward your request ot Holger Rust, the business owner, who will revert back to you soonest. We live on a farm in Magaliesburg, Gauteng and are looking for erosion blocks to improve our road and also to give the road better grip on uphills. I have forwarded your request to our licensee in Gauteng. I like the rock face finish, creates a nice texture. I am not aware of any email, did you send it Holger? ([email protected]terraforce.com). My apologies, could you please resend the email and I will make sure you are sorted out as soon as possible. Hi, can I build a retaining wall of 3,5m high with the terracrete without a engineers design? And you can go higher than 36″ with the TERRALITE block, if you go higher than 1m though, you will need to implement certain measures to make sure the wall will remain stable, such a geo-farbric or concrete infill. 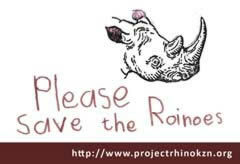 Ken from Truline can advise you further and I have forwarded your message to owner and expert, Holger Rust. I’m interested in this moulds, and I wonder; how many years does the plastic keeps the mechanical properties due the UV radiation? The moulds are used to produce the blocks and never leave the factory. The only wear is from filling and demoulding immediately thereafter. One mould is good for about 4000 concrete blocks. I will email some documentation today. I would like a quote for the L16 Rockface block. What Country or province in South Africa are you from? Not all of our suppliers manufacture the L16. Great efforts, I like to learn more about Terraforce, as we are involved in sustainable construction and ecological recovery projects in China. Thank you for your interest, we would be very happy to provide you with more information. If you need any other information please let me know and I can email it to you. Do you think that fly ash is a good material for retaining walls? Fly ash is a residue formed when coal is burned – refineries and coal fired power stations produce tons of this. It can be used as a substitute for up to 25% of the cement when manufacturing cement products and concrete. It should be possible to use it for retaining blocks – obviously some research would be necessary to determine the percentage that can be added without compromising the strength of the block. Laboratories like Matrocast and Soillab should be able to do this. 1) The quantity used per month. 2) The space available and the cost of erecting a silo with a screw conveyer – the same as the Cement silos. 3) The delivery method of the supplier – it must be pumped from a tanker into the silo. I would like to order a number of your L11 retainer blocks. How much will you charge per block? Do you deliver to Hout Bay and if you do, how much does it cost? I have forwarded your request to our Western Cape Licensees, Klapmuts Concrete, they will be getting back to you soonest. * same quotation but for V10 rockface as an option instead of standard. I don’t seem to be able to see prices on your website. We do not have a price list as each of the licensees in each province/country has their own prices. You need to contact your closest supplier (https://www.terraforce.com/suppliers-installers/) and ask them for their prices. I would like to enquire about purchasing terracrete moulds. Is it possible to purchase these moulds from you? Yes you can, I have forwarded your inquiry to [email protected] and Holger Rust will be getting back to you. I would like to enquire about purchasing terracrete moulds. Is it possible to purchase these moulds from you? If yes tell me the price of per mould and how do i purchase. I have forwarded your request to our supplier in Mumbai, India. I see by the pricing list above that you need to be an appointed licensees. Is it possibe to buy the mould privately in that I will not be opening a factory to produce blocks, but would like to buy two-four moulds to produce my own blocks for my own use at home/garden, I have searched in Ireland for similar end products and was going down the route of making my own mould to meet my needs when I came across your product. Hoping to hear back soon from a rainny wet Ireland. I have forwarded your request to Holger Rust, he will get back to you soonest. where can I find caps for terrlite rockface L36 CT in Nanaimo Vancouver Island BC Canada? These are so beautiful. Do you have professional landscapers working on your team? I’d love to hear about where they studied. Hi there, I am in the united states. Would you please forward me to the correct person whom I could purchase a few of these moulds from for personal use. These are the first moulds I’ve found in days of searching that are for quality grass pavers. Hi Karin, – no I have not heard from Holger. I’m very impressed with what I’ve seen and read. It is people like you whom are helping to reduce our carbon footprint. Have you ever considered Solar Lamp Post Lighting? We manufacture over 60 different styles of solar lighting, however our Imperial II is by far our brightest and best seller. Check out our website and please let me know if you would like to chat sometime. Also, here is some additional information about Gama Sonic. Solar lighting has been available for many years, but people often perceive its quality and brightness to be low. That’s not the case anymore, and solar lighting consumers should expect higher quality and brighter light from Gama Sonic. If you’re in the market for a more sustainable lighting solution for your home, office or business, then the Gama Sonic line is a viable option. There is no wiring or electricity required. Gama Sonic has over 60 different solar lighting options to choose from, for both residential and commercial use. Several Residential, Mobile Home Parks, HOA’s, Apartment complex’s and even Cemeteries have switched from electrical/gas to our Imperial II solar lamp posts, replacing outdated or non-working fixtures, or adding new solar lights in areas where running or rerunning electrical wiring is cost prohibitive. Power Use: Gama Sonic uses the highest quality components and more sophisticated electric boards to offer solar lights that are able to preserve 85-90% of the power they receive charging during the day, while the industry standard is only 50%. This results in you having more power to shine brighter and for a longer duration. Brightness: Gama Sonic’s solar lighting solutions provide the same brightness you get from traditional lights. Special technology like the cone reflector helps to disperse light more efficiently and for longer periods of time. Our Imperial II solar lamp is the brightest solar lamp post light available anywhere with a brightness of 350 lumens which is equivalent to an 80 W bulb. The Imperial II is a Commercial Grade Solar Lamp manufactured using powdered cast-aluminum, 21 super bright LEDs, beveled glass, the lamp is maintenance free and has auto dusk to dawn operation. Easy Installation: Gama Sonic Solar Lamp Posts can be easily installed anywhere outdoors without electrical wiring/trenching which saves you time and money and diminishes your carbon footprint. It’s amazing to see how simple calculations reveal obvious conclusions. Alternative energy becoming not only more affordable, but in fact in long term it works out to be cheaper, not to mention the impact on the environment. At Eurojoinery we have similar challenge of educating customers on benefits of eco friendly products. I think a lot of people associate sustainable energy with a high cost, but if we carry on talking about this and comparing prices it might become clear to all, one day. Anyway thank you for a great article. Am a Ugandan but so much interested in your products but i can not access them in East Africa.Is it possible to access Machinery? How possible can you help me. I will forward your request to Silvio from Remacon. Please send me details on how I can acquire these moulds, I require them for a project in Swaziland and there are no suppliers in the area. I have forwarded your request to the relevant person. Terracrete blocks actually are available in Swaziland via EFS Precast. I am impressed at your sustainable product…. But your artical no where states anything about putting draintile behind the wall, improper drainage behind the wall will cause a wall to fail. Drainage is indeed a key factor of wall durability, and the first thing we inspect if a wall shows signs of failure. I love the idea, whilst not entirely new, it does move forward the OLD concept of control water with run off only. I am however concerned at promoting this technology in a boat yard (et al) where the capture of old paint scrapings etc. etc. is paramount to the safety of the water way in which they stand adjacent. I am not convinced that the water permeation is a good thing when the water will contain heavy metals etc. I would value your comments back on this aspect please? When the boat lifter pad was designed, the idea was that SHOULD there be any large spills – they could be easily cleaned. Small amounts of pollutants will be digested by bacteria, naturally present in the soil. Big spills, should they occur, are immediately cleaned up by lifting the blocks and sand layer and replacing with fresh sand and blocks. With with bitumen, ALL runoff goes into the waterways – Terracrete helps to limit the amount. I have been in the glass industry for 30 odd years. Glass is heavy and costs too much to recycle all the way back to Springs. In the USA they do a similar thing to you by using it in tar premix for roads. Now the roads twinkle. Ideas like your are fantastic and with a little organisation will help create jobs save money and get rid a problem that would otherwise lie in the ground for a 1000 years. I feel I need some fresh ideas from someone with “new eyes”. Building is to start shortly on the sloping plot next to my house in Llandudno. I am supposed to offer advice re the landscaping / terracing. The plot is rocky (boulders) and has very little available soil for filling blocks. One could possibly import dune sand to fill blocks (initially) and place topsoil in upper layers. Would someone be interested in offering advice or suggestions? Could the crushed glass be used in something like concrete infill? I you Google this “CONCRETE WITH WASTE GLASS AS AGGREGATE – Cmeyer, N. Egosi, C. Andela, Columbia university” it should give you all the info you needs, I myself am not a 100% sure if that is feasible, although with the correct precautions I think it can be possible. Glass powder can be used in the manufacture of cement. Glass chips can be used as an aggregate in concrete but precautions have to be taken to prevent the alkalis in the cement from reacting with the glass (Alkali Silica Reaction ASR). This can be done by using increased proportions of slag or flyash in the concrete. I have also forwarded your request to them. As we have suppliers all over South Africa, I first need to know what province your projected is located in. I seem to have had issues with notification emails of comments on my web site. I am only seeing this now. If you have not yet been sorted out, please let me know. Hi, I’m living in Vernon BC and I would like to know if there is a supplier in the Okanagan area? Our Suppliers, BlocksRus, are situated in Williams Lake, they will deliver. Thanks,I’ll give them a call. So sorry I am only getting back to you now, my notifications to the web site comments were not working and I only saw this comment today. I have a project involving more than a thousand blocks and seek L-11 , l-12 ,V-8, V-10 sized blocks for green scape work, Mission Concrete Products is not producing Terralite any more. Do you sell molds & molding machines ? I really like the look of this solution, although my application is slightly different. I have a farm in Tulbagh that currently can only be accessed by 4×4 especially in Winter when it is wet. The road surface is mixed from good well drained thick red earth to harder sections that are eroded and have a lot of run off – damaging the sides of the roads etc. There are also long stretches full of stones and smooth round rocks (terrible for traction when wet even with a 4×4). The road is around 500m long and I am interested in getting someone to look at it and quote for twin track solution (and in some places potentially also some drainage to control run off water etc. 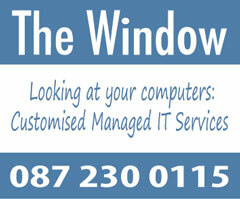 Do you have a partner who works the Tulbagh area that could I speak to? 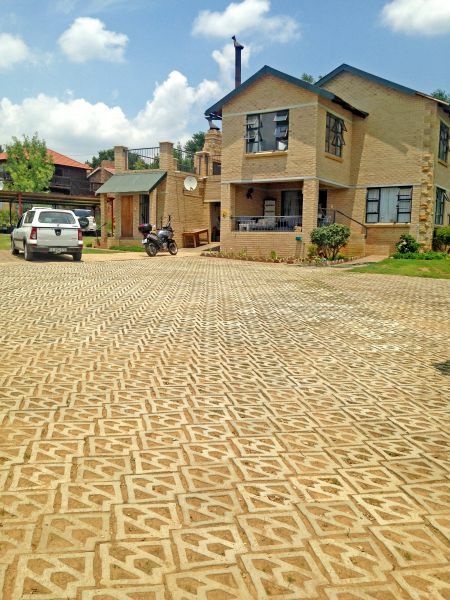 We have a partner in Piketberg, but he does not manufacturer the Terracrete blocks. I have passed you request to our supplier in Klapmuts, maybe he can work out something for you. I have forwarded you request to Klapmuts Concrete. I need to know where the site is situated to point you to the correct supplier. An open National Supply Competitive Act for the supply of your products to the Government of Ghana.Urgently furnish us in full details about the standard of your product.We will appreciate it more if you can give us with detail specification/price lists to avoid making a wrong choice of product. Terms of Payment: An upfront payment of 80% (T/T) will be made to your account for production, while 20% will be paid before shipment. I am interested in becoming a supplier of terraforce products made from recycled glass…currently operating in KZN South Africa. Please forward me more details. Yes we do. Where are you situated? We have a similar situation in Clifton. Please sen dme prices for terra fix blocks, and general intallation costs. I have forwarded your request to our supplier in the Western Cape. Please let me know if they have been in contact with you. Please do provide me with a Quotation for 60 m2 delivered in RichardsbayWill t6his block be sufficient for heights up to 3.5 m? Did someone contact you for a quote? Did you come right with the moulds? I am in Samoa & would like to look at these molds, do you have anyone in New Zealand or Australia who can ship? We are very interested in your moulds. Please send me more information, catalog, specification, prices. Do you have any moulds for retaining wall system? We sell the Terracrete moulds only to companies or individuals that have an agreement with us to comply with our specifications. Do you intend to become a licensed supplier or do you want to produce for own use? The retaining blocks can be manufactured under license only, if you are interested, we are happy to start the process of setting up an agreement document, after we have visited your facilities and discussed a way forward. Please let us know if this is of interest. I have built 3.5 meter retainer wall using the L11 Terra Blocks. I would like to know if doing the following will impact the structural integrity of the wall ? – Plastering the entire Retainer Wall (L11 Terra Blocks) ? I live in San Felipe, BC. Is it possible to get the hillside block in Mexicali, BC? You can contact our new supplier in Abbostford, BC, I am sure they can truck the blocks up to you. 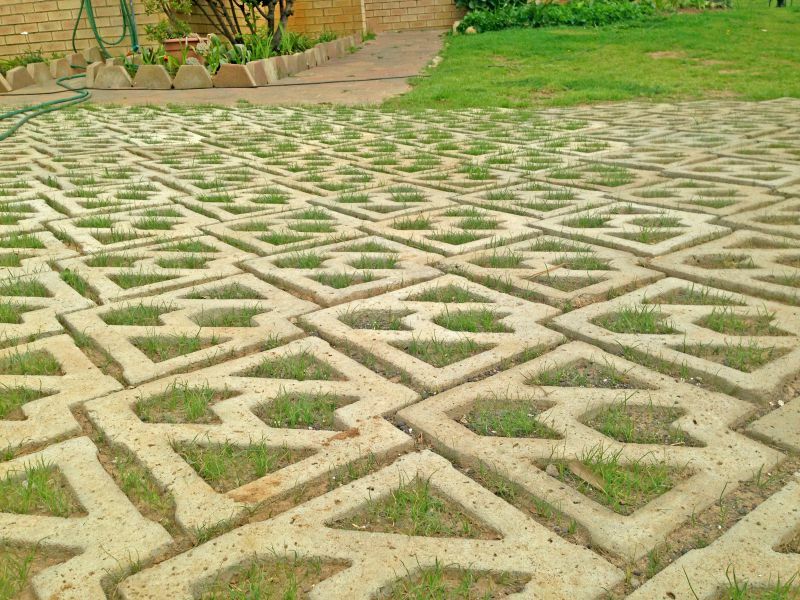 I am interested in your pavers that grass can grow through.. the permeable pavers. Please advise cost of approximately 50m2 delivered to Noordhoek Cape Town. Is this product available in Georgia? If it is Georgia in the States, unfortunately not. Kindly forward a quote for the following product Terracrete/force R18 (with a square corner indentation). Amount required: 400, Price p/unit. Delivery time delay after order and payment. Previously purchased the same product in 2016 Middelkop Farms. Which province are you from? Need to know what supplier to direct you to? Can I use your retainer blocks to support an existing vertical block wall? I understand that I will require to lay my first row back from the base of the existing wall and gradually extend upwards. the current block wall is about 2m high. The slope of your retainers could be anything from 70 -90 degrees. Can be done. Please supply a sketch or photo with soil type that is retained. Has the exist wall got drainage behind? Is there space in front of the exist wall to install a foundation? Hi karin, I am in Ontario and have a half built wall of terraforce blocks (a tree fell over) and i now need to finish the wall. I absolutely love your blocks!!! I cannot find them anywhere in Southern Ontario and I am literally stumped as to what to do if i cannot find anymore. Can you tell me is there anyone around this province who carries your amazing blocks??? Please can you let me have prices for 500 M10 standard blocks delivered to Constantia. It is in Silverhurst and there is a weight restriction of 6 tons. Do you install? If so please give a cost estimate with easy access to the garden. Only 3-4 rows height. Soil is on site. I have forwarded your request to Cape Retaining Systems, sorry it took so long to get back to you, my apologies. Hey, I was wondering, Is it possible to get the L12 Standard (smooth) block in Mexico city? So sorry, we unfortunately do not. If you know of any precast manufacturer that would be interested in entering into a partnership with us to start with production? For our ongoing project at Nainital, we would like to have options to build a retaining wall which would be 200 feet long and 15 feet high. Please contact with your solutions. and will also cost more. The 332 x 332 mm version is made in Dubai. No idea how the two got mixed-up, but will investigate. Please call 083 6581056 if you need more info. Should two different complexes outside perimeter walls are build of the same bricks but the boundary wall which devides these two complexes is build with different material of the outside perimeter walls. Who is reponsible for this boundary wall deviding the two complexes? Why I am asking is the other complex have a unit which has Yuka trees and these trees are so big now they pushed some of these slab walls out it broke. Now I was told by our committee it is a private matter between the unit in our complex where the problem is and the complex behind us and it is the other complex’s responsibility to have this wall fixed and it is not part of our responsibility. I am not even sure I were given any papers regarding such matter. I hope you can advise me or can redirect me to contact the right person or company regarding the matter. We are in Centurion Gauteng. Sounds like a case for the city council, we have no experience in the matter, but I would assume the complex that the trees are part of would be responsible for the damage. Will double check with the technical team. I live in Northern Ireland and looking to build a small retaining wall. I love the idea of the interlocking no mortar wall. Where would I be able to buy them? Please send us a quote for 209 x L22 standard retainers, including delivery in Melkbosstrand.